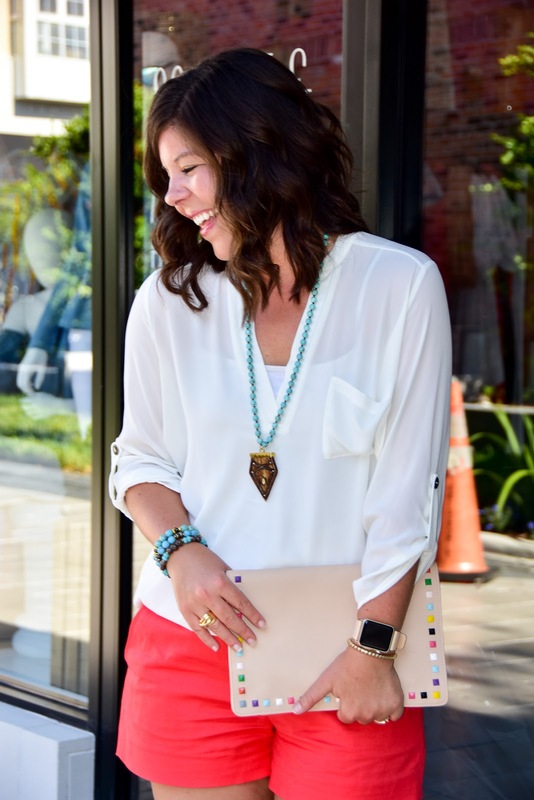 Unexpected Colors + You’re Invited! Do you ever just feel like doing something different? Trying something new? Being unexpected? 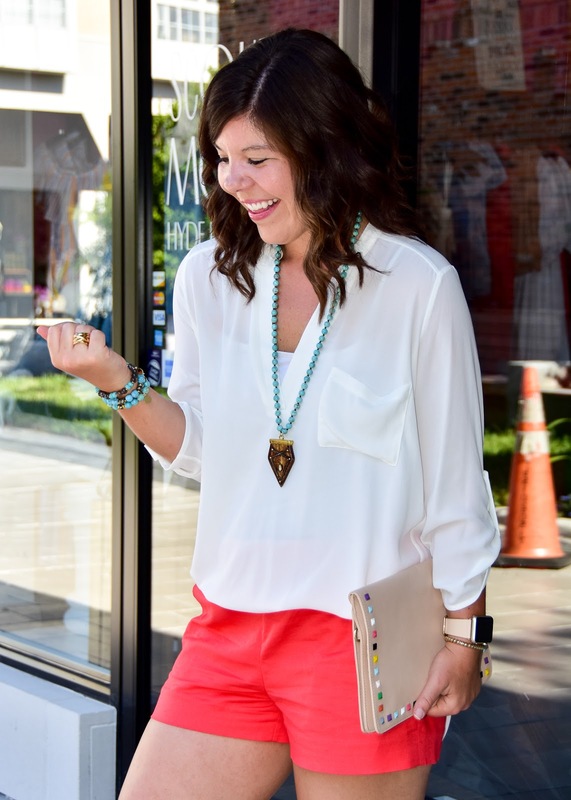 Both red & turquoise are such bold colors that they can almost be too much together, but the white tunic helped to break it up and now I think they compliment each other perfectly! 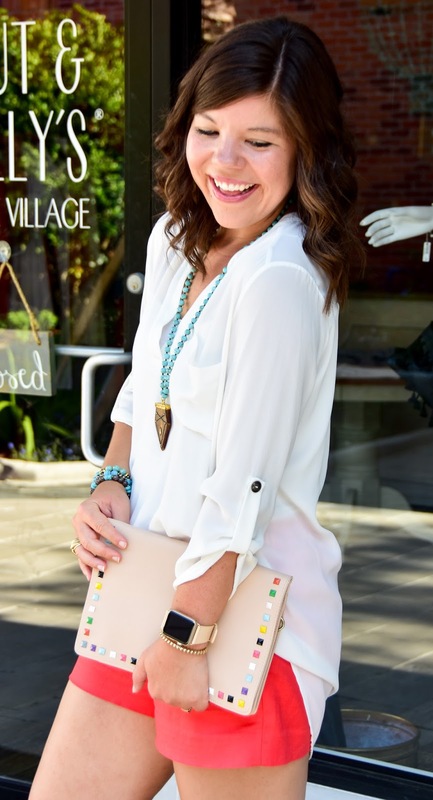 Also, this tunic has quickly become a staple in my closet over the last year and it is 40% off! I can’t recommend it enough if you are considering it! It’s definitely long (i’m 5’4), but I love doing a half-tuck in the front to give it the perfect length! 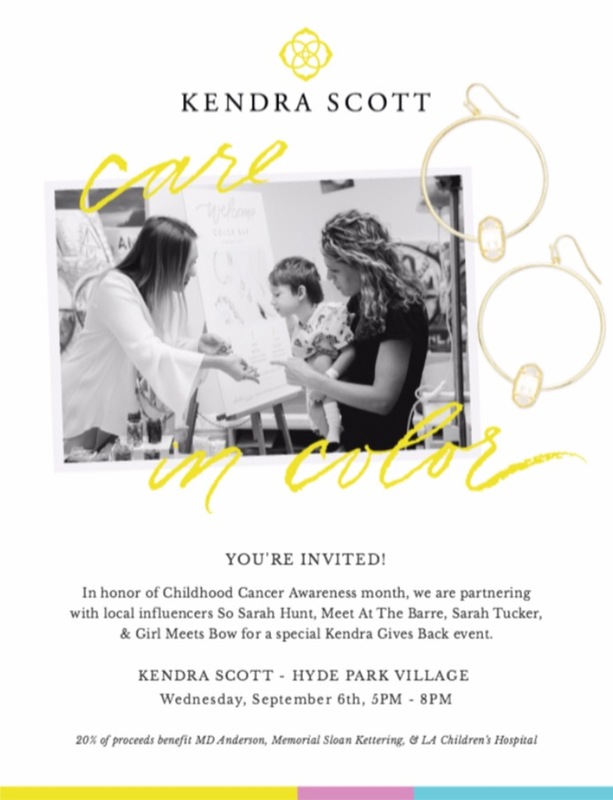 I’m also so excited to share with y’all that I have teamed up with three of my blogger friends to host a night out at Kendra Scott in Hyde Park, Tampa! 20% of all proceeds from the evening will benefit childhood cancer research- I can’t think of a better way to spend the night! 🙂 So thankful to be able to support such an amazing company & meaningful cause! Have a great first day back in the office… I know it’s going to be a LONG one for me!! #NYFW F/W 2019: The Trends I Spotted! 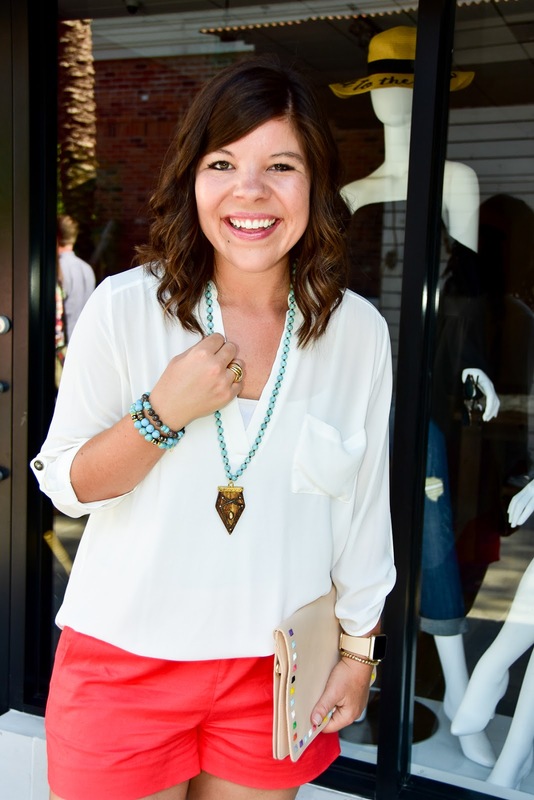 Love the mix of turquoise and red, so fun! Those shorts are my favorite and your purse is adorable! Love love the necklace ! Very pretty ! Love your outfit and that necklace is everything!! I love the bright color combination! It's one of my favorites and you're definitely rocking it. 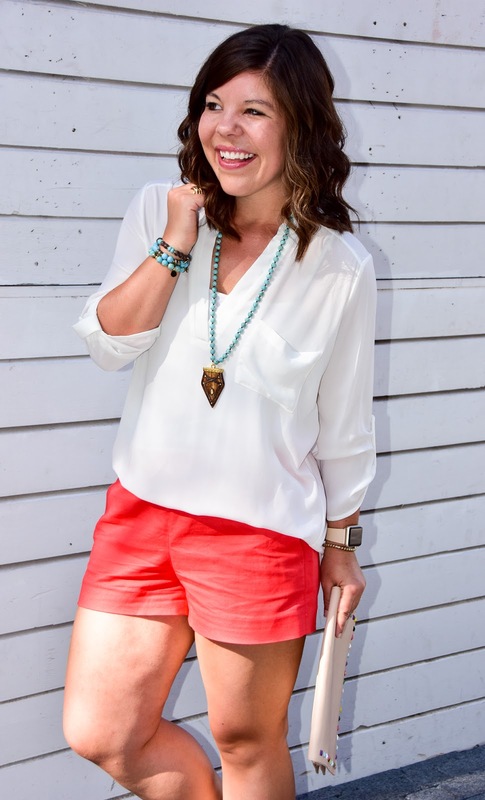 I love the color combo – especially the shorts! 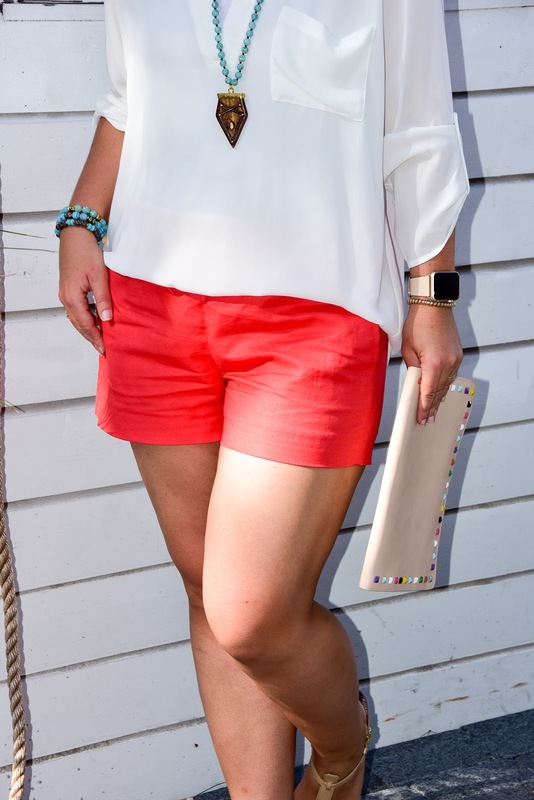 I love your shorts and how it provides the pop of color to this look! Simply stunning! Love the combo!